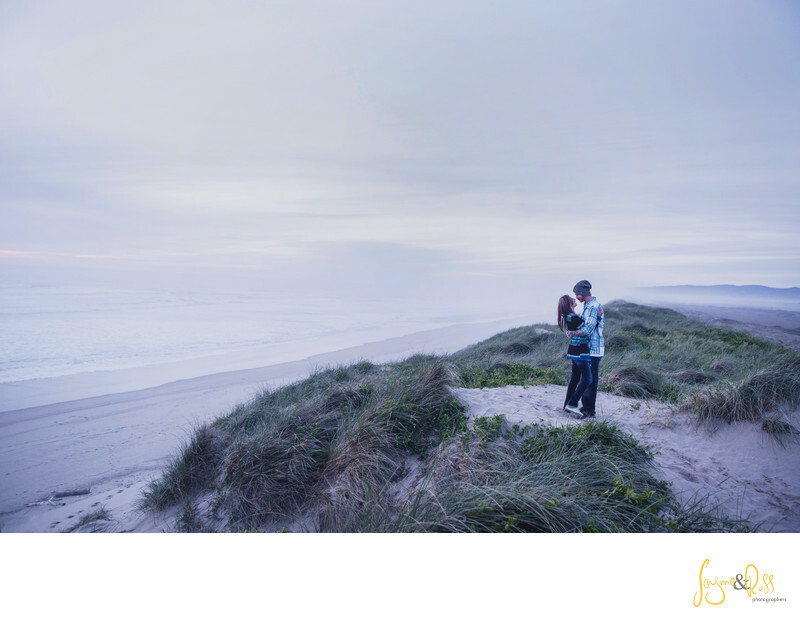 Becca & Garry chose to have their engagement session on the Oregon Coast. This sunset photograph was made on the South Jetty of Florence, Oregon, just after sunset. The short window of light that still illuminated the sky after the sun has disappeared beyond the Horizon. Photo by Eugene Wedding Photographer Jayme Elsevier. Technical Information Shutter Speed 1/80 Aperture 3.5 ISO 2500 Manual Exposure Camera Used Canon Eos 5DMK3 24-70 mm Lens at 24mm. Location: South Jetty Florence, Oregon. Keywords: Engagement Photography (3), Florence Oregon Engagement Photography (3).